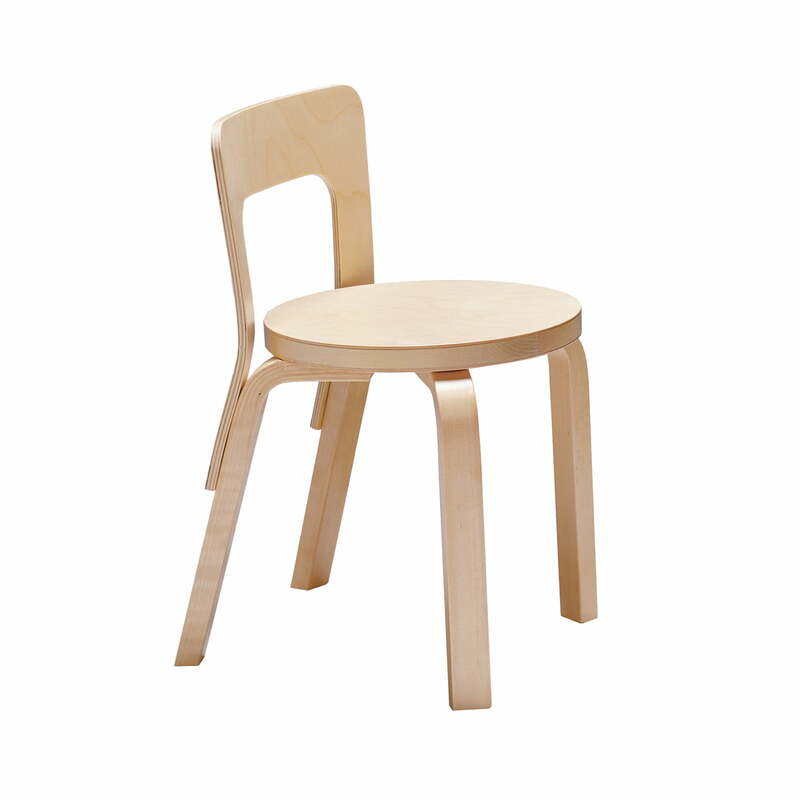 The N65 children's chair appears in the typical design by Alvar Aalto: It perfectly suits the approach of the Finnish design legend with its round seat and the L-like feet. The designs of the Finnish still look modern because of the connection of natural materials with clear, simple shapes. Aalto however, didn't only focus on the shape when he designed his stools: as architect, he also concentrated on the construction and the practical function. The stool 65 was initially designed for the library in Wyborg, which is why the piece of furniture also fulfils practical demands on ergonomics and resistance. 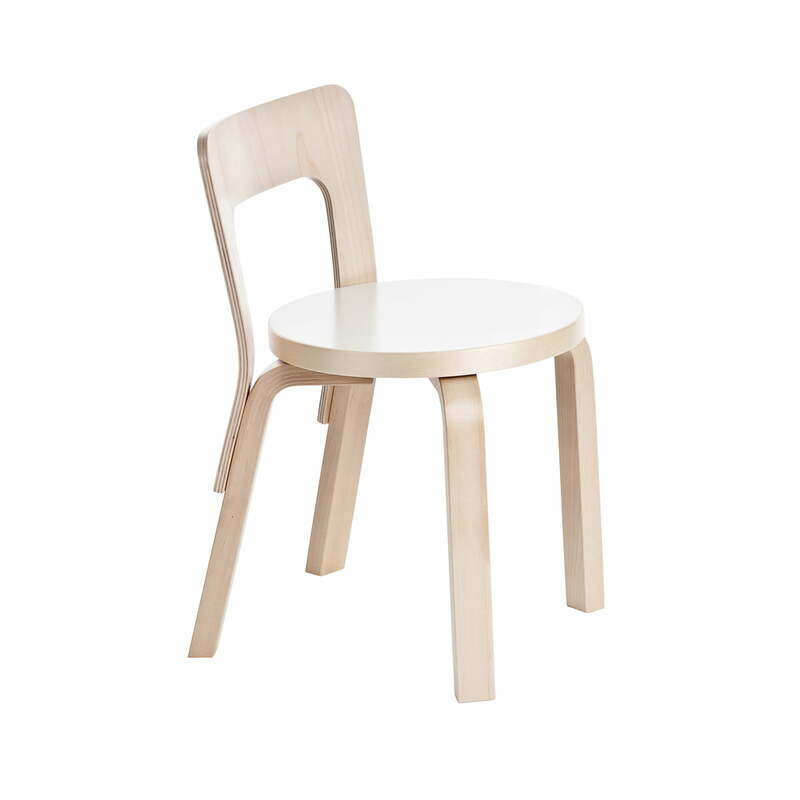 Artek manufactures the N65 children's chair put of painted birch veneer. The four-foot stool is also available with a black linoleum seat, white laminate seat and with a seat in the children adapted Mumin décor. 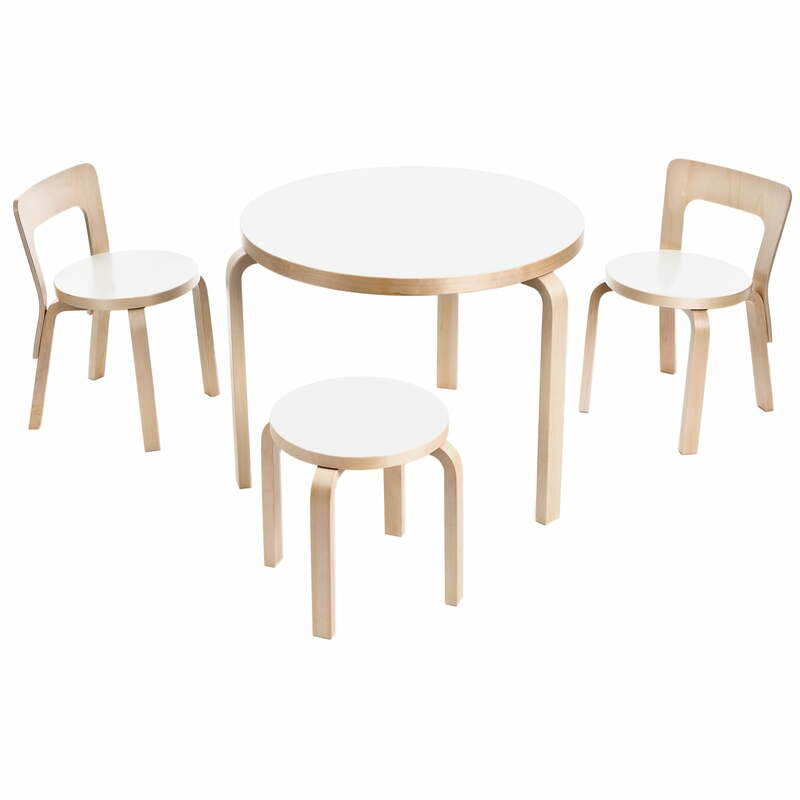 The NE60 children's stool and the 90B children's table perfectly suit this Artek stool, since all of them have Aalto's clear and harmonic handwriting.